Dimensions: 5ft. x 3ft 9 ½ in. 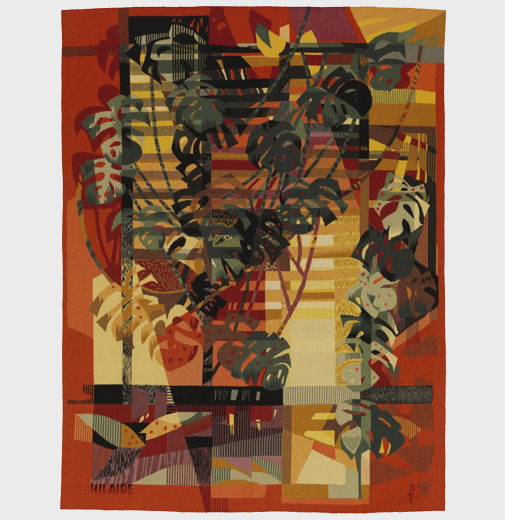 Apprenticed to a horticulturalist as a young man, Camille Hilaire often uses the greenhouse as a compositional motif in his tapestries. The subsequent effect is like light coming from behind his tapestries illuminating, animating, and sensualizing his compositions. 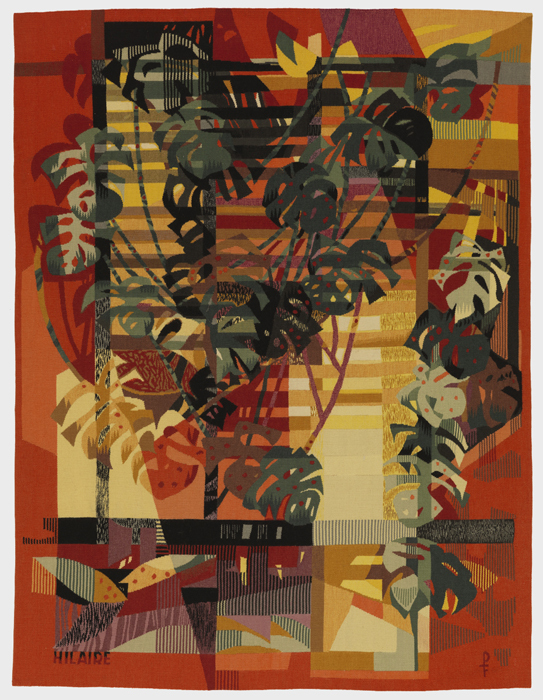 A student of Jean Lurcat, Hilaire is also known for his allusions to antique Verdure tapestries by depicting abundant vegetation with a simple palette.